Since its FDA approval for cosmetic use, Botox has helped millions of Americans see smoother, younger-looking skin. At Santa Barbara Skin Care in Santa Barbara, CA we offer Botox injections to address dynamic wrinkles or wrinkling due to movement. This includes worry lines, smile lines, crow’s feet, lines between the eyebrows and laugh lines. If you have considered Botox before but are not sure if it is for you, consider these three reasons to choose Botox. Before Botox and other injectable agents that can soften facial wrinkles, surgery and more invasive procedures were the only options for men and women wishing to achieve a younger-looking appearance. 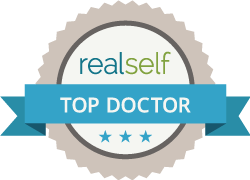 Botox cosmetic injections do not require downtime after treatment. We make the procedure extremely comfortable by using a numbing cream and the smallest diameter needles on the market for a virtually pain-free experience. Botox injections allow you to reveal smoother skin without the need for incisions, or surgery. Botox injections are associated with very few side effects. Our board-certified dermatologists are well-trained in using appropriate Botox dosages to minimize the risks for side effects. These could include redness, itching or allergic reaction symptoms, such as difficulty breathing or feeling faint. The ultimate reason to try Botox cosmetic is its results. When injected into the skin, the injectable temporarily blocks nerve transmissions to the muscles that cause them to contract excessively and cause wrinkling. Botox cosmetic has been proven to help patients look years younger with results that last anywhere from three to four months. Botox has been shown to help most patients who experience shallow fine lines and wrinkles. Our dermatologists can evaluate your skin to determine if Botox could benefit your appearance and help you reduce wrinkles where creams may have previously failed. When you start Botox injections, you not only experience wrinkle relief, you slowly retrain your face and facial muscles to reduce skin wrinkling. This reduces the amount of time between Botox injections and extends your results. In this way, Botox acts as a treatment for wrinkles, not merely a temporary wrinkle-releaser. While Botox cannot fully prevent the evolution of wrinkles, it can slow the process significantly. In fact, studies show that those who start Botox early and maintain it regularly age in appearance much more slowly than those who do not use Botox.